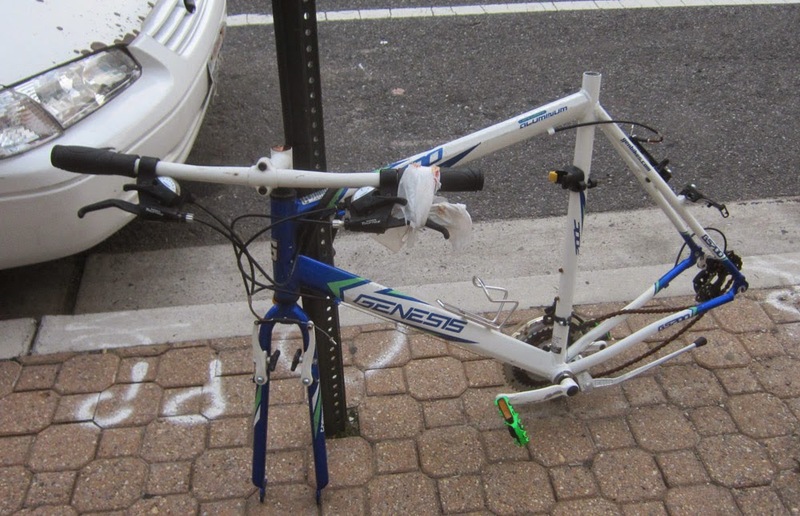 Bike cannibals have fed on a bike that's been locked up for longer than a year in front of Rosslyn's CVS on N. Lynn St. But there's a lot of meat left of those bike bones. The cables, pedals, cranks, bottom bracket, front fork, brakes and other stuff could be salvaged. Why not call in the young mechanics at Phoenix Bikes to ensure that no bike parts are left to languish in Rosslyn?